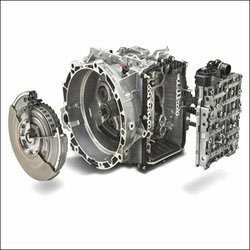 We present a wide range of precision engineered and premium quality clutch gearbox such as dual clutch gearbox and engine clutch gearbox. Manufactured using best quality raw material, our range is efficient and durable. These clutch gearbox can be custom made as per the requirement of our clients are known for robust construction and easy adjustability. We have been manufacturing a wide range of clutches for gear box, which is used in various machine tools industries. These clutches are known for its high end features such as high performance, load bearing capacity and high tolerance. Our range is fabricated as per the industry set standards and is customized as per the clients’ specific requirements.